Buying groceries, hiring a porter or dining in a restaurant, tipping someone could be tricky. Here is the top advice and few smart steps to follow as a tipper in Dubai. Whether you want to know how much do you tip a concierge, a porter or a hairdresser, we have got you covered. The art of tipping has always been a tough subject to master. Sometimes you might overpay in a situation while at other times the waiter can give you a ‘is that even a tip’ look on the few cents you put on the table. So, the balance of right tipping on right service is crucial. 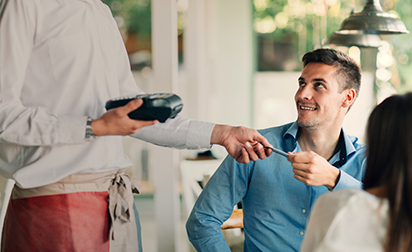 While travelling, the problem could grow because there are countries like Japan and China where they strongly disapprove of tipping, while nations as France have made tipping a law. 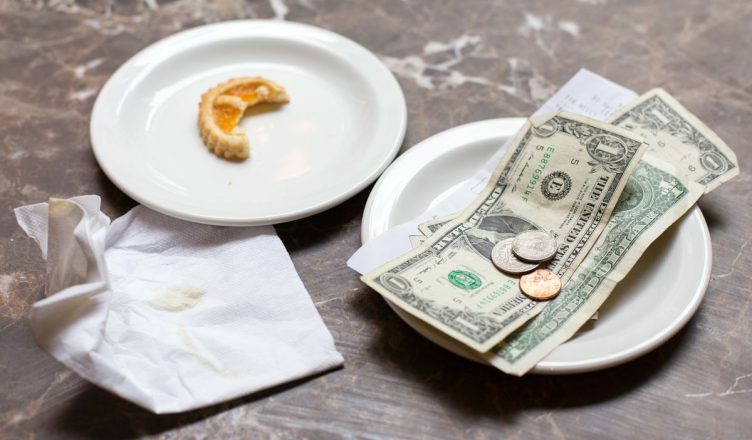 This makes it important to understand the system of tipping in a country or city. Do you tip in Dubai? Dubai is open to tipping. 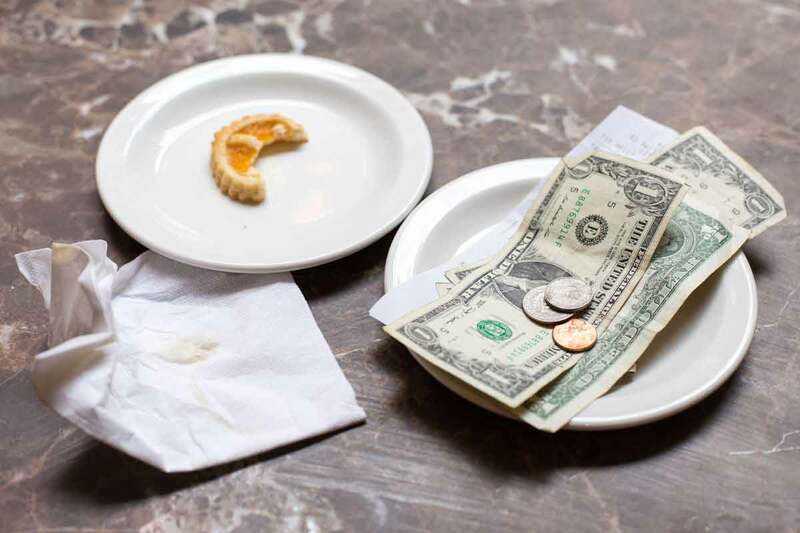 It is in between of ‘hating tipping’ and ‘making it mandatory’, as the city keeps the process of tipping to be optional. Like if you had a fabulous dining experience you could show your gratefulness by tipping the waitstaff but if you don’t feel that great with the service, you can drop the idea. The emirate has the best delivery service either it’s the food or the groceries, or tailor (yes, literally everything comes at your doorstep), thus, tipping can come out generously. People touring here for the first time could be in a deep dilemma of where to tip maximum, who to tip and how much to tip- well, the answer is on personal preference. It isn’t mandatory, still it is always welcomed in the city. How much do you tip in Dubai? Waitstaff- Tipping for a good food just comes out naturally. The happiness you get after a courteous and dedicated service from the waitstaff can be rewarded with 10-12% of tipping on the bill. While you must learn that restaurants already include a service charge in the bill, plus an extra tourism 6% fee is added. So, the food manages to be extravagant. In case, these tariffs aren’t deducted from the bill, you can pay a bit better and more from your will. Porters/ Bellman- Dubai is famous for its incomparable hospitality and luxurious services in the hotels. And for these unforgettable experiences, they charge around 10-15% service tax on the bills. But, these amount go directly to the company’s account and remain far and away from the ones who exactly work for you. So, tipping in Dubai hotels should be in cash, according to the degree you’re impressed. For example pay porters around 5 Dirham, the valet parkers around 7-10 Dirham and leave 12-15 Dirham for the maid and cleaners depending on either they make or break your experience. Taxi Driver- Now the other common question, “Do you tip uber drivers in Dubai?” Rely on how the driver carries out the journey. A generic and happy drive would demand 5 Dirhams while if they are willing to offer complimentary service like picking bags and carrying them to the door, you can surely be kind enough to bring out around AED10-20 from your purse. Tour Guides- Since Dubai is world-famous for its attractive scenes and unmatchable architecture jewels, the tourism is flowering like nowhere else. And the tour guides make your travel much easier and fantastic, in response, tipping tour guides in Dubai is a kind act. Certainly, it isn’t necessary yet a generous tip-off would be appreciated. If it was an average exploration, leave around AED 5, and if he manages to take you extra places, be ungrudging to tip them 10% of the bill. Spa & beauty specialist- Dubai is complimented for its 5-star and lavish spas and parlours. If you are visiting the emirate and are knocking the parlour doors for service, you are in for a treat. It’s very easy to get a good hair by a professional hairstylist or feel yourself pampered by a masseur. It’s a guarantee that you will be well-served and would be willing to hand over a good percentage of the bill as the tip. Depending on the treatment, tips vary from AED 5 to 10-15%. Delivery guys- As already mentioned, Dubai is a city of convenient delivery of all kinds of products and services, a tip can be tagged as a token of appreciation. You must be aware of the fact that some delivery services demand extra charge. Supermarket bag packers- While shopping in the grand malls of Dubai, carrying around the bags and keeping them packed could be overwhelming, At this point, there are shoppers who pack the shopping bags, and there are staffs who carry the bags to the parking lot, and you should tip them as gesture of thankfulness (because you know it’s tiring). These are basic ideas and theory behind tipping all kinds of people you come across in Dubai. Perhaps, following these is on your part. It won’t be harsh or rude if you don’t tip after eating at a restaurant or leave the hotel staffs without a dirham. However, tipping someone can be a boost to his/her excellent service and also the service taxes aren’t paid to the staffs, rather it is a source of income for the main brand. Thereby, whenever you are left impressed or you feel to share gratitude to personnel that help you in making the journey of Dubai a memorable and unforgettable one, don’t hesitate to tip. UAE residents are in favour of tipping. Around 49% of UAE residents have voted to pay the tip, either ‘every time’ or ‘most of the time’. Who gets tipped the most often? On No. 1 podium, stands the waiter/ waitress, food delivery guy on the second and hairdresser/ beautician on third. It’s optional to pay the tip. Because there are restaurants that already add the tip in advance. 50% of the respondents pay almost the same amount every time, without putting effort on calculating the percentage of the bill. Hopefully, these valuable guidelines would have helped to ace this witty concept of tipping in and around Dubai. Watch this space for more related information that keeps you smart while you travel.